What do you do when it calls for torrential downpour on your wedding day? You stock your car with umbrellas and enlist the help of bridesmaids to be on train duty. Luckily (even though it rained on their engagement shoot) we were able to take portraits in between bursts of rain throughout the day. There was even a majestic rainbow that prompted everyone to run outside and take amazing selfies. 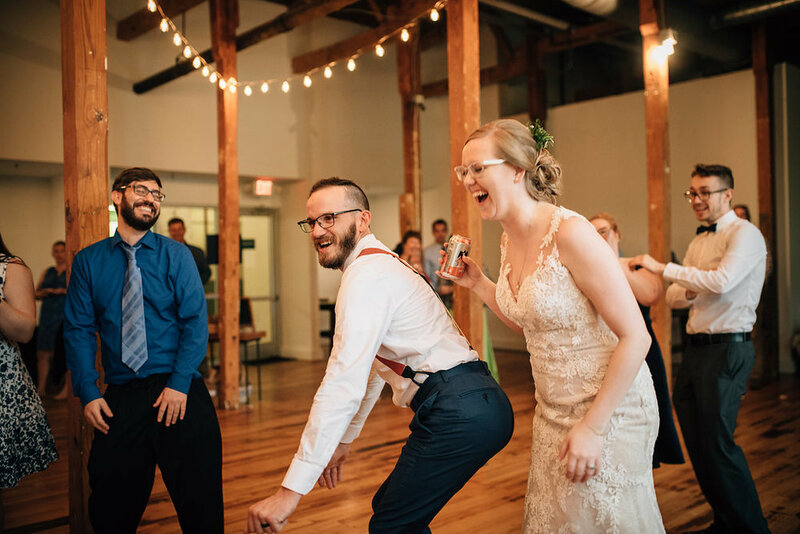 Victoria and Dave shared the sweetest vows that prompted all to tears and danced the night away with an eclectic and fun music selection.